My Thoughts: I came to know Amy Jarecki’s writing through her historical romances and fell in love. Her historicals are loaded with action, intrigue, danger, suspense, and passion. I’m passionate about her writing. But the most wonderful thing is, she’s able to write just as mean a contemporary romantic suspense. Boy, does she get my adrenalin pumping! With a flip of the switch, language changes I’m in the here and now, same great gripping emotional conflicts, just in a world as dangerous as times of old. I loved the way she uses the here and now, the fears we have today in this story –ISIS, human trafficking, selling weapons illegally, etc. She makes it so real. Amy takes us into the stench of evil, you’ll smell it and feel it. She’s certainly done her homework. I enjoyed the narrator. I hadn’t listened to anything of his before. He handles the accents admirably. I liked his Scandinavian accent a lot. It took me back to my great aunts and uncles. He does American, British and German in this story as well. There is one voice I swear sounded just like GEICO, the lizard from the insurance company. She was the Director of Administration for ICE. He had me snickering. She was something of a lizard in personality, too! Olivia is a dynamo, she’s revenge on her mind. After joining ICE, she suggests to Garth, the head director, that they recruit Logan Rogers, someone who had saved her life in a very botched mission. Olivia and Logan create sparks just being in the same. Logan is hooked (but wary), but Olivia doesn’t want to get close to anyone. As the story heats up, so does their relationship. But it’s an on again and off again thing with Olivia. They have a mission they need to accomplish, they both need to focus. Olivia is determined to take down the man who has plagued her nights for years with nightmares. If you like the thrill of the chase, with danger, injury and possible death, (gads!) you’ll be absolutely pulled into Jarecki’s riveting and mind-boggling series. I had already read book 2 of this series. I just had to catch book 1, Hunt for Evil. 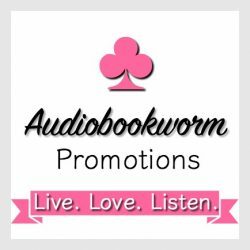 This entry was posted in Action/Adventure, Audiobook, Audiobook Review, Contemporary Romance, New Book Release, Romantic Suspense and tagged Amy Jarecki, Audiobook Review, Hunt for Evil, Romantic Suspense. Bookmark the permalink.